In the winter months there is nothing quite like the smell of conifers. 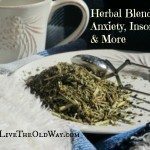 As the light of spring and summer shifts to the darker, dormant months, so does our need to focus on these fragrant and readily available resources. The evergreen nature of conifers gives us a bounty of medicine in their greenery, bark and even their inner resin. Some refer to this as “sap” but technically pitch and resin are the two correct descriptors. 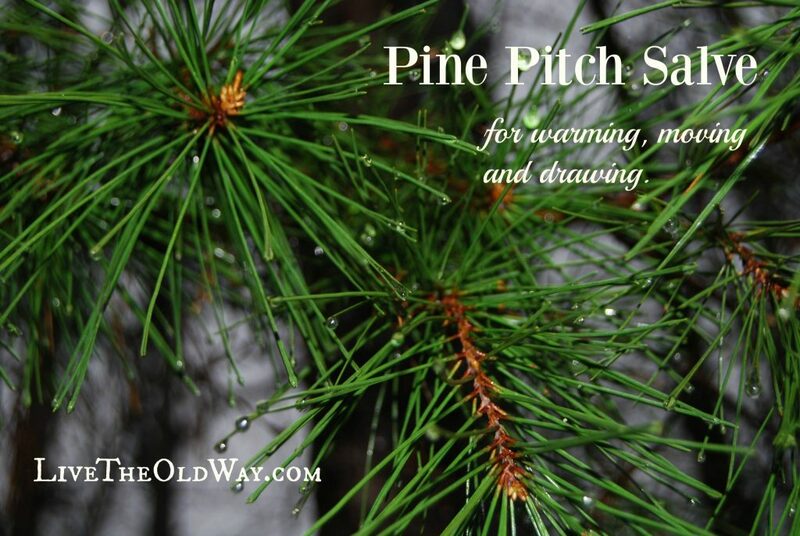 Needles of several pine varieties make a tasty tea that is high in vitamin C and is useful as an immune system booster and cold fighter, but the inner resin, or pitch, is the real wonder medicine of the conifer. One my favorite uses for the resin is as a salve. This salve has a warming, stimulating/moving action that does wonders for drawing out splinters and it’s warming, stimulating nature makes it a sought after treatment for sore muscles, achy joints and dull chronic pains. 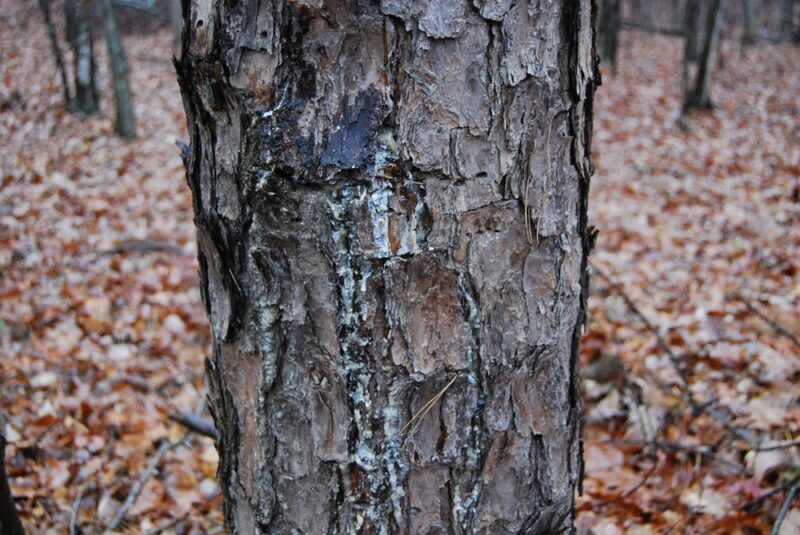 The resin of conifers is important to the life of the tree, so instead of tapping the tree to collect resin for your salve, simply scout a few trees for resin that is already seeping from woodpecker holes, lightning strikes or other injuries. Collecting the resin or pitch is as easy as taking along a small, 2 or 3 ounce jar and sturdy knife. Resin acts as a scab over the tree’s wounds, so skip over resin that has already hardened and become part of the bark and instead, choose the drippings and hardened pieces around the scab. Use your knife to pop the resin loose and drop it into your jar. Collect enough resin to fill your jar at least half full (it doesn’t have to be packed) then fill the jar with just enough olive oil to cover the resin. Cap your jar and leave it to sit 6 to 8 weeks or until all the resin has dissolved in the oil. If you have large pieces, you may want to break these up to speed the process along. Resin is soluble in oil, so in addition to breaking down the resin in your jar, you can use the olive oil to clean up the knife you used to collect it. You can see in the picture below, the resin begins to break down even after just a couple of days. 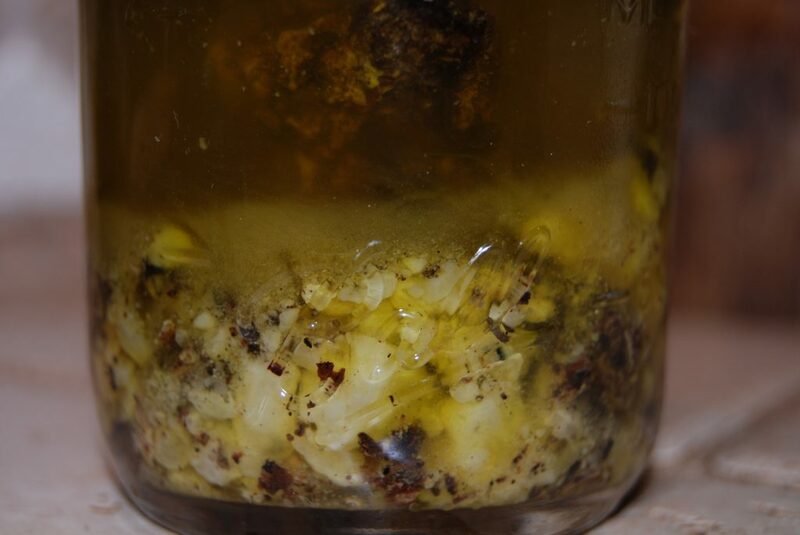 Shake your jar periodically, then once your resin is completely dissolved in the oil, strain the oil through a piece of cheesecloth to filter out any stray pieces of bark and then measure how much oil you have. Measure your strained oil and pour it into a small pot. For every ounce of oil, grate in 1 Tablespoon of beeswax. Slowly heat the oil and beeswax mixture, just until the beeswax melts. Avoid overheating it so that the heat doesn’t kill the beneficial anti-bacterial, antioxidant and anti-inflammatory properties contained in beeswax. These, combined with the humectant nature of beeswax are as helpful to the skin as the stimulating effect of the conifer resin. Carefully pour the salve into jars. Pour your jars 1/2 to 3/4 full to let them begin to set, then circle back around and top them off. This will keep your salve from forming a hole in the middle. Leave the jars uncapped until the salve has completely cooled. This is a very interesting and informative article. I have a ointment called Amish Origins that is for pain relief and healing bruises and such. It is one of the very few things that has actually helped my pain. I bought it at an Amish store – it has Oil of Pine Needle in it with Eucalyptol Oil, Menthol and Oil of Camphor. 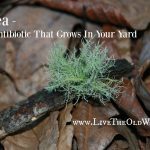 Now I know why the Oil of Pine Needle is in there and why it helps. Thanks for sharing your great information. Pinned & tweeted. 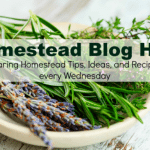 Visiting from Homestead blog hop. Have a healthy, happy & blessed day! Thank you, my family and I are always looking for natural remedies..